Understanding when CMOs are likely to rotate up and out of their roles is essential to knowing the right time to approach a brand, particularly in the agency space. Winmo predicts new business opportunities months in advance using an unparalleled view of shifts across advertisers, agencies, and decision-makers in their ranks. One of the key indicators in our predictions? New CMO hires. 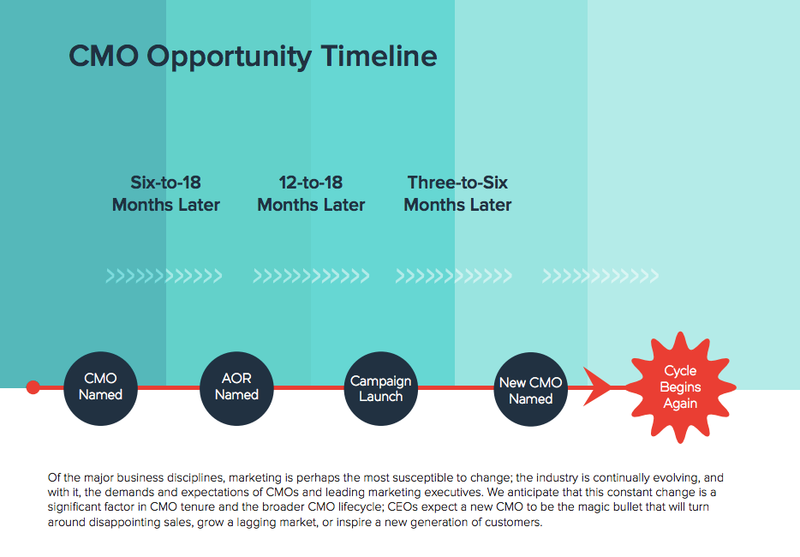 According to our CMO Tenure Report, the sweet spot for engaging CMOs is within 3-12 months after beginning their role. During that time, it is likely agency reviews and media vendor shifts will occur. 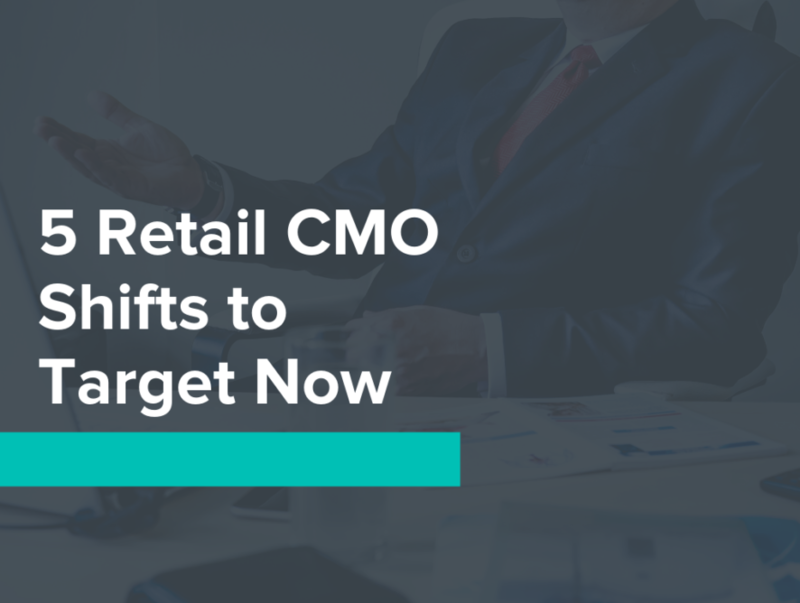 This report examines a variety of industries, with 296 data points specifically coming from CMO tenure data in the retail space. Retail spans 14 subcategories with four outlying categories including aftermarket, beauty, convenience, and home. While retail brings the overall average industry tenure up, a majority of its subcategories fall below the 39-month total category average. Intelligence like this enables you to refine your pitch understanding the timeline they are working under to launch campaigns and prove ROI. This way, you know exactly when to approach a newly hired CMO and proactively target accounts at the right time. With a new focus on modernization, IKEA named Work & Co it’s digital product AOR in an effort to improve engagement across e-Commerce, mobile shopping and in-store experience as well. A rise in digital is a crucial part of the company’s growth plan, including the creation of a shopping app and increased use of AI. Peter Wright was selected as global CMO in October, so these changes don’t come as a huge surprise. Further modernization efforts under his leadership are testing out new store formats with 30 small stores (one-fourth the size of traditional locations). With all of these changes occurring, a spike in spend is expected. 2018 sales were reported at $40.4 B, a 4.7% increase from 2017. IKEA has also been shuffling its executive team, so expect continued shifts and changes in the radio and out-of-home channels as well. Sellers with high ROI and an omnichannel strategy will have the biggest advantage. Keep in mind the retailer primarily targets female homeowners, with a recent millennial push. Spend is typically highest in Q4, but keep an eye out for new product launches also. Agency and martech readers, since reviews typically come in pairs, reach out for work soon. IKEA retained Wavemaker as media AOR about a year ago, but with a new CMO, changes are possible. Creative and digital have been out of Ogilvy since 2010, while PR has been with APCO Worldwide since 2013. Carla D’Alessandro took over IPIC’s CMO position, effective January. D’Alessandro brings digital expertise and will lead marketing initiatives concerning theaters, restaurants, experiential content, and membership/partnership strategies. Previous experience includes SVP and managing director for Zimmerman Advertising as well as marketing leadership positions at Inbox US, ModernAD Media and MUNDOmedia. The company has not yet established a top spending period, so sellers are encouraged to reach out year-round in order to secure ad dollars. Traditional channels of investment are digital, outdoor and print. While overall spend has seen declines, it could easily reverse with a new CMO and other new marketing hires in the mix. There are signs of an agency review within the next 6-9 months following the new addition of D’Alessandro to the team. Agency and martech readers are advised to reach out sooner rather than later in order to stay top-of-mind. Competition will include PR agency The Gab Group, who has been on the account since 2016. Last September, better-for-you New Seasons Market promoted Mary Wright to the CMO position. In January of 2019, more leadership changes followed with the promotion of co-presidents Forrest Hoffmaster and Kristi McFarland to the roles of CEO and chief strategy officer. New Seasons Market’s strategy for growth has consisted of continued investments in core stores, staff, local communities and partners such as Matt Lightner, Ruby Jewel, and local nonprofits as well. The company has not yet established a top spending period, and their target demographic is traditionally better-for-you millennials focused on sustainability. Heaviest channels of investment include digital, experiential, and social media. Digital display spend increased to $192,400 in the past year from the $162,700 the year before according to Adbeat. Agency and martech readers are encouraged to reach out with an agency hire likely within the next 6-9 months. After Amy Yeager’s departure last year, furniture company Badcock named Barb Scherer it’s marketing VP (brand CMO function), effective January. Previous experience includes leadership positions at Fifth Third Banks, Engauge, Push, and Cramer Krasselt to name a few. Partnerships have been the main focus for Badcock recently. Main partnerships include Storis and Snap Finance in an effort to grow customer credit options and Sheriff’s Cause with Santa Clause to provide families in need with Christmas gifts and meals. Top spending period is typically Q3-Q1, with main channels of investment consisting of broadcast, digital, outdoor and print. The target demographic is made of boomers with a slight female skew. All locations are in the Southeast as well. The company saw a decrease in digital display over the past year, but with new hires and an effort towards expansion, spending shifts are a huge possibility. Agency and martech readers are encouraged to reach out to Scherer in her new position. Keep in mind Badcock has previously worked with FKQ on media and Hill+Knowlton on PR. Convenience store chain Kum & Go named Tj Freeborn CMO, effective January. Freeborn will oversee lead insights, analytics, category management, food service, marketing communications, merchandising and space planning. Previously serving as the customer experience SVP at loanDepot, Freeborn brings marketing leadership experience. Freeborn isn’t the only new hire, with several other hires and promotions in 2018. The company is currently on the search for a VP of marketing & communications to act as second-in-command to the CMO position. Sellers are encouraged to reach out year-round for revenue considering Kum & Go has not yet established a top spending period. In an effort to engage their millennial and Gen-Z demographic, Kum & Go has placed an emphasis on digital and social channels. Although overall spend has been low, it could easily increase under a new CMO. With plans for expansion throughout the year, Kum & Go is aiming to open 22 new stores most likely in the Midwest and West where they historically have the most traction. Local sellers in these areas should keep an eye out for opportunity. Agency and martech readers are encouraged to reach out for work following the new CMO hire, with reviews likely in the next 6-9 months. Winmo helps agencies and media sellers track important decision-maker shifts like this every day. To start targeting CMOs based on their tenure, request a trial today.